Understanding the mechanisms by which the brain develops resilience, or lack thereof, could help unveil biomarkers for novel therapeutics to facilitate resilience after trauma. As of today, no specific treatment has been discovered for PTSD; nonetheless, 1 in 10 individuals suffer from this debilitating disorder. Selective serotonin reuptake inhibitors (SSRIs) are widely used as a first-line treatment, but with a high non-response rate, and the reasons for their inefficacy in PTSD is examined. 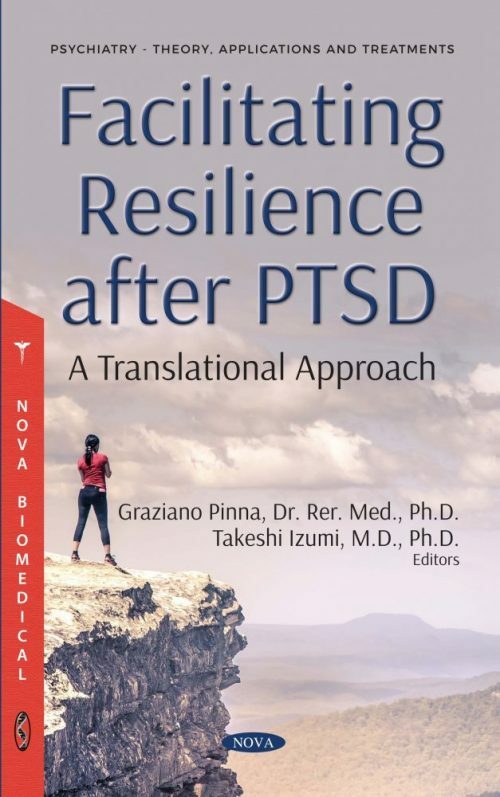 This book reviews several biomarker candidates that may be useful to develop a precision medicine and help PTSD patients who fail to respond to traditional therapy. We examine the function of physiologically diverse raphe nucleus 5-HTergic neurons, deficits in amygdalar 5-HTergic neural systems, amygdala dopamine on emotional memory processing and the role of antipsychotics that attenuate excessive dopamine release and improve resilience. Autonomic imbalance, an acquired feature of PTSD, can be improved by trauma-focused psychotherapy and targeted interventions such as biofeedback. New hope via neuroepigenetics may unveil new therapeutic approaches for PTSD. Dysregulation in the HPA-axis and telomere dynamics may prove as key mechanisms in facilitating resilience and limit the risk of suicide. The endocannabinoid and neurosteroid systems as well as their interactions provide a crucial biomarker axis and contribute novel, exciting therapeutic targets to facilitate resilience after trauma. Chapter 4. Limitations of the Anxiolytic Function of Selective Serotonin Reuptake Inhibitors: Why Is Pharmacotherapy Ineffective in Treating Post-Traumatic Stress Disorder?